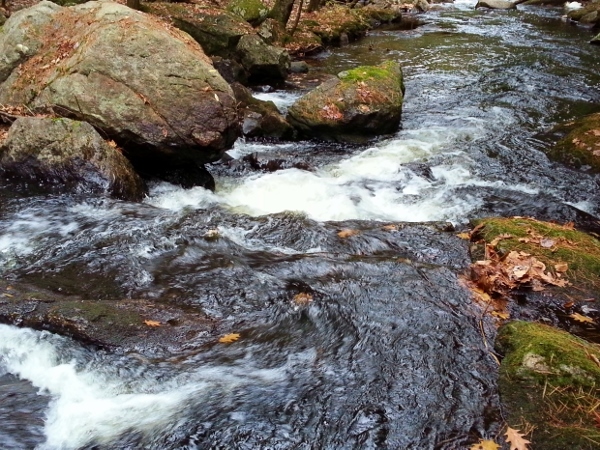 My stress always descends along with the flow of the river when I walk here. The Cocheco River will descend about 300 feet to the sea. The leaves have descended to the earth and we are descending quickly toward winter – with early snow showers in the forecast for tomorrow. Thank you. Our new puppy just stops and stares or listens or both when we walk past here. It is that kind of place.